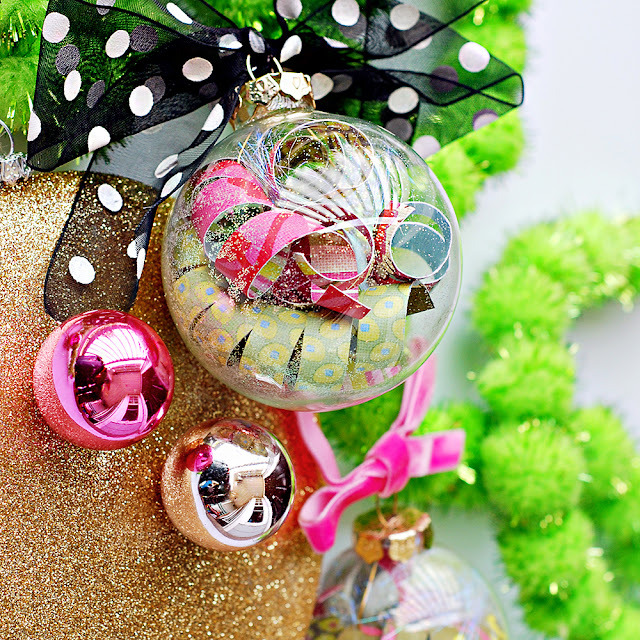 With Christmas around the corner, you've undoubtedly begun making your list and checking it twice. 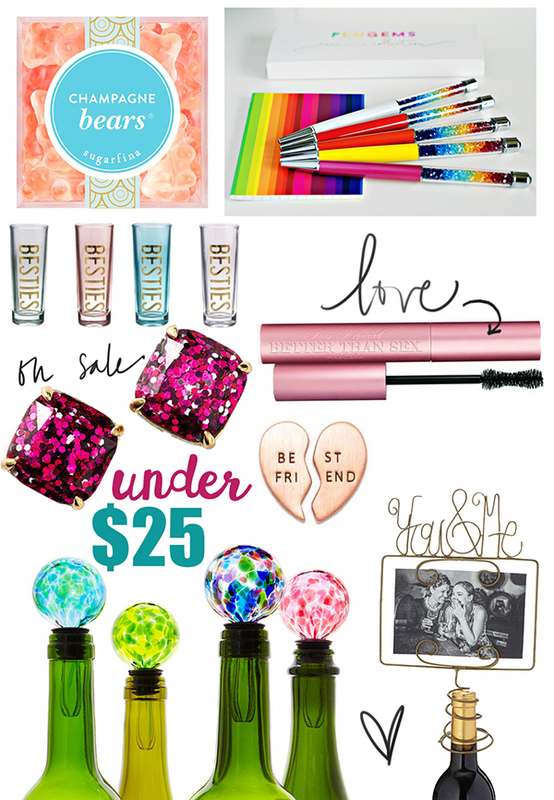 I've had the absolute best time putting together a series of gift guides to help make your holiday shopping a bit easier. No matter your budget, I've got ya covered! Here are my picks for "her" – your best friend, wife, sister, and mom. 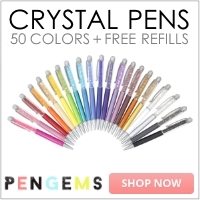 PenGems in her favorite color! Check out the Signature Collection. Use LOVEJOLEEN for 10% off. Kate Spade New York Glitter Studs – Still my favorite earrings, and I have several different colors! Foldover Crossbody Bag – Classic and cute. Comes in 3 neutral colors. Charlotte Tilbury - K.i.s.s.i.n.g Lipstick - Velvet Underground. It's the perfect winter/holiday shade and currently on sale for $10 off! 2017 Essential Blends Set – includes 5 ml bottles of Young Living Thieves, Joy, Citrus Fresh, and Deep Relief. These are absolute staples in our home and would make a very considerate gift at $48.50, plus tax and shipping. Young Living Essential Oils Premium Starter Kit – This is my top pick for any of your favorite people. 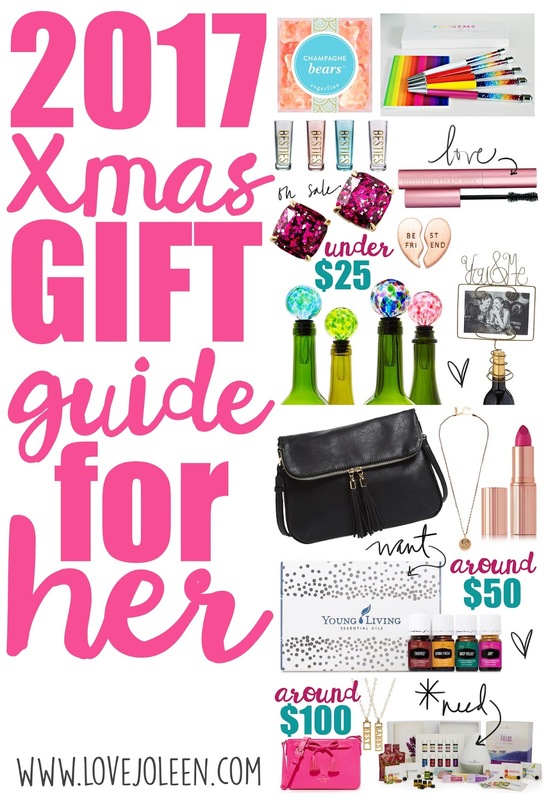 If you don't have your own YL EO kit, send Santa my way!